Saving Money Thanks to the Total Cost of Ownership With sustainable technologies and efficient vehicles, PRINOTH's snow groomers are helping to make snow grooming more cost effective, saving not only time and money, but also reducing emissions. When it comes to the purchase of capital goods, careful calculation is required. Before the acquisition is made, not only purchase price but also the total cost should be closely scrutinized. The total cost of ownership (TCO) describes the approach with which PRINOTH helps its clients to assess incurring costs right from the start. Thus, not only the acquisition cost of a snow groomer is taken into consideration, but also all aspects of later use such as fuel, repairs and maintenance, in order to be able to identify known cost factors or hidden costs in advance. In this way, the client sees the total costs incurred by the purchase of a snow groomer until its resale or return. 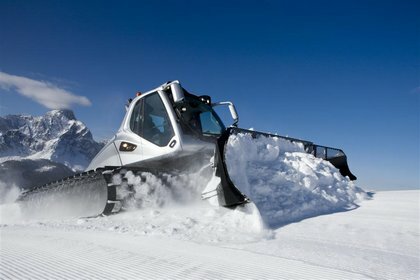 In cooperation with TÜV SÜD, the technical service provider for safety, a method was developed in order to calculate the surface covered per hour and the fuel consumption per unit area for all snow groomers on the market. The results have provided solid measurements which are used to actively work on improving the products, in order to offer the client not only technical excellence but also sustainable cost efficiency. 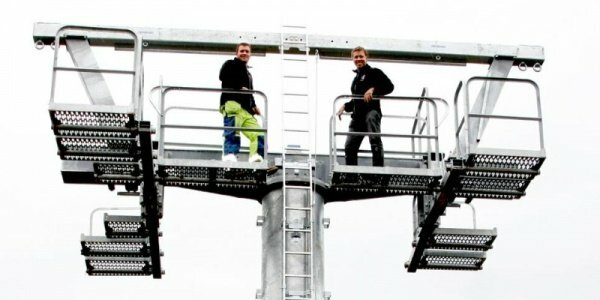 Together with technical training for snow groomer drivers and competent after-sales service, PRINOTH offers a complete package and helps its clients to exploit its innovative technology and essential know-how to save time and money and thereby contribute to the cost effectiveness of the ski area. 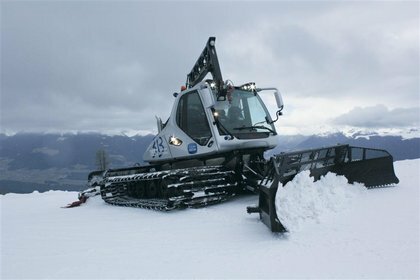 The Beast snow groomer is the prime example of an ideal development towards efficiency and ground coverage. Energy efficiency, protection of resources and environmentally friendly production processes are some of PRINOTH's primary concerns. The ISO 14001 certification proves that PRINOTH has an effective system for minimizing its environmental impact and therefore making an important contribution towards the sustainable protection of the environment. The increased level of corporate responsibility is particularly demonstrated by the use of clean technologies. 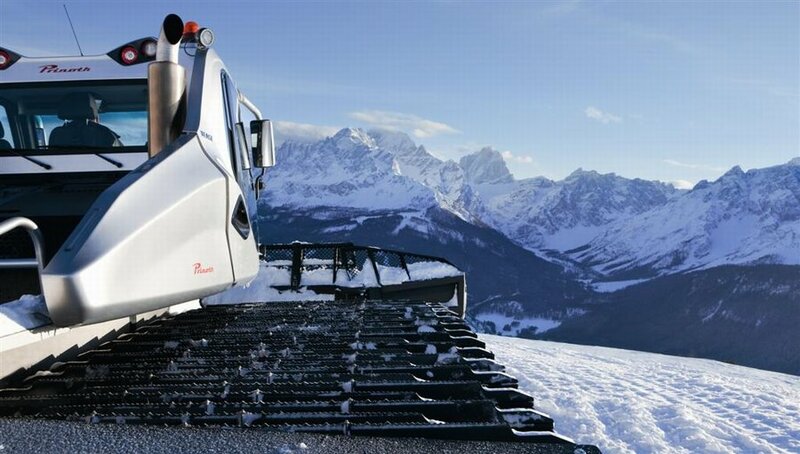 With Clean Motion, PRINOTH is fulfilling the demands of ecological and economic sustainability in snow grooming. As a result of this aim, PRINOTH has developed the new Leitwolf, the world's first Euromot III B-conform snow groomer, and as the first manufacturer of snow groomers worldwide, established the trend towards a new emissions standard. With convincing effects on the environment! Compared with similar vehicles, the new Leitwolf's nitrogen emissions are reduced by 50 and it emits 90 less fine particulates. A clear statement against climate change. The new Euromot III B technology ensures a considerable reduction in emissions through optimized combustion in the diesel engine alongside a reduction in fuel consumption. But what is this new emissions standard all about? Due to the climatic conditions, the Euromot organization in Europe and the Environment Protection Agency (EPA) in North America have set emissions standards for diesel-powered non-road mobile machinery. The introduction of Euromot III B (or Tier 4i in North America) in 2011 reduced the nitrogen emissions in comparison to the previous Euromot III A and Tier 3 standards by 50 and the fine particulate emissions by 90. To be able to keep to the strict emissions limits, engine manufacturers are pushing ahead with a new engine technology, usually either an EGR or an SCR system. The SCR system is a technology which separates harmful nitrogen oxide into harmless nitrogen and water in the exhaust. In order to set off this reaction, the exhaust fluid AdBlue must be sprayed into the exhaust gas. In the SCR system a chemical reaction reduces the nitrogen oxide to harmless nitrogen and water vapor, reducing the emission of nitrogen oxide by approximately 90 . With the introduction of the Euromot stage IV or Tier 4 final, the emissions regulations will become even stricter in 2014.